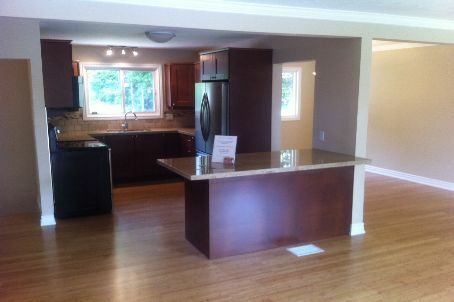 Professionally Renovated 3+1 Bedroom Bungalow. Enter This Open Concept Home To View The New Kitchen With Granite Counters, Marble Backsplash And New Stainless Steel Apps. The New Bath Also Has Granite And Tile. Every Inch Of The Main Floor Is Bamboo flooring . Paint……… The List Is Too Long. Everything Done. Basement has a 3-Piece Bath & Bedroom. , Prof Landscaped Yard, Updated 200 Amp Service, Newer Furnace And A/C, New Roof On Garage With Electricity. This Home Will Not Disappoint. Open Houses Saturday And Sunday 2-4.